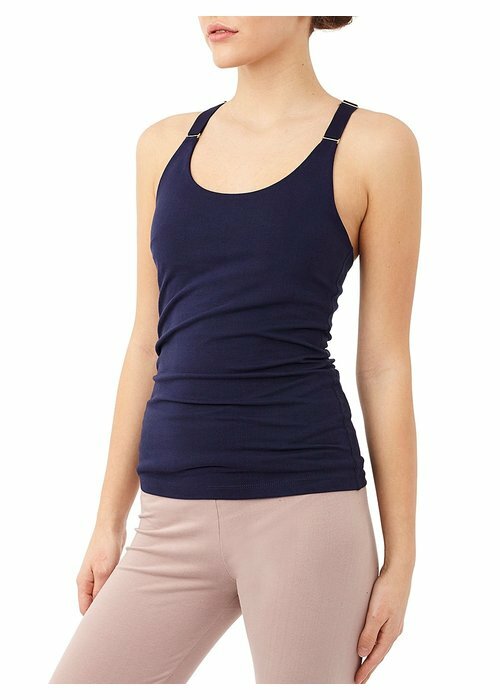 This sturdy yoga top has a built-in sports bra, contrasting color on the bands, and a nice open back. The stretchable, breathable fabric feels soft and offers optimal freedom of movement. The perfect mix between functionality and style. 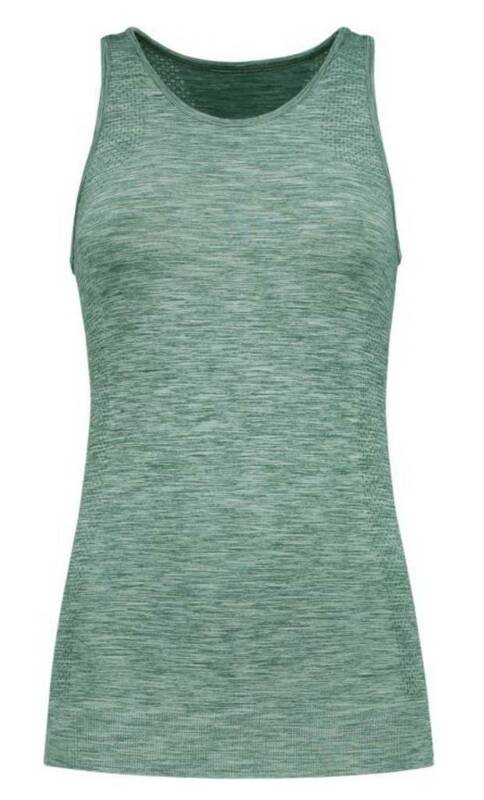 This racerback top has a subtle knitted pattern and super soft fabric that feels great on the skin. 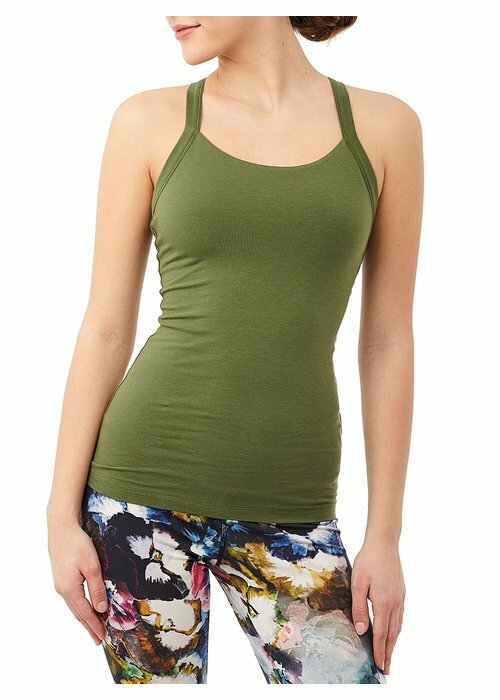 The top has a high neckline and is extra long in length, this ensures that you are always well covered in all yoga poses. This T-shirt is made with a mix of cotton and hemp, this is breathable, wear-resistant, and sustainably produced. Featuring a elegant scooped neckline, cap sleeves, and a slim fit. Knot your average crop top! The Knot Crop Top ties in the front to show off your core and has a high neckline for good coverage in all yoga postures. 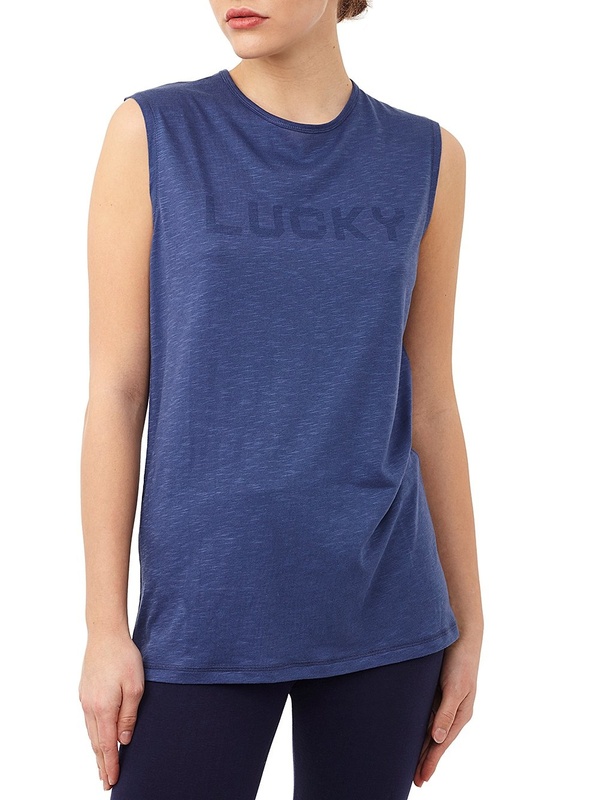 An effortless tank made in a super soft sustainable cupro fabric. The cross-back silhouette and relaxed fit make for easy wear before, during and after your workout. The Glossy Flow Tank is made of soft material that flows smoothly along the body. With a racer back and rounded seams. The Spiritual Gangster Muscle Tank has a loose fit and a ribbed crew neck with stitched stripe detail. 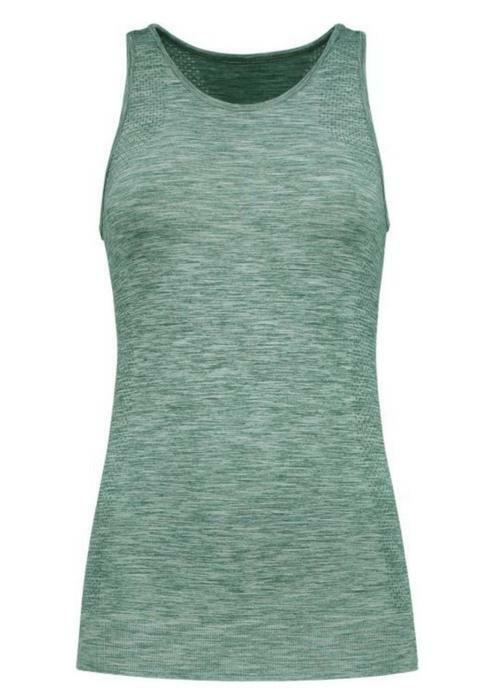 Made from a mix of modal and cotton, this is soft to the touch and very breathable. 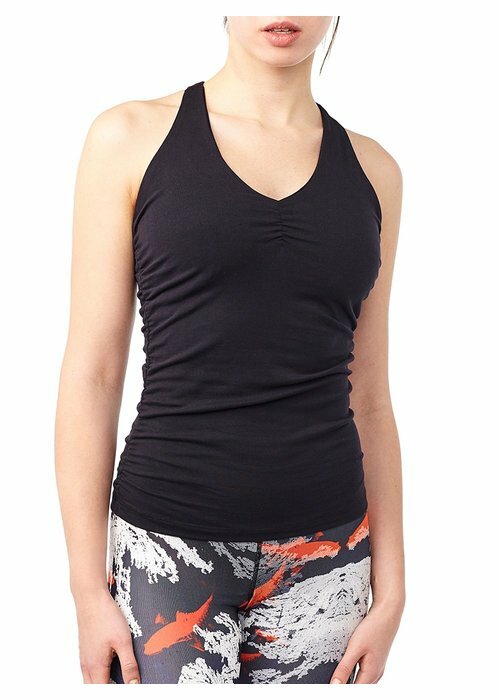 This yoga top has a soft scooped neckline and a built in sports bra with removable pads for good support in all yoga asanas. With a beautiful crossed straps detail on the back. 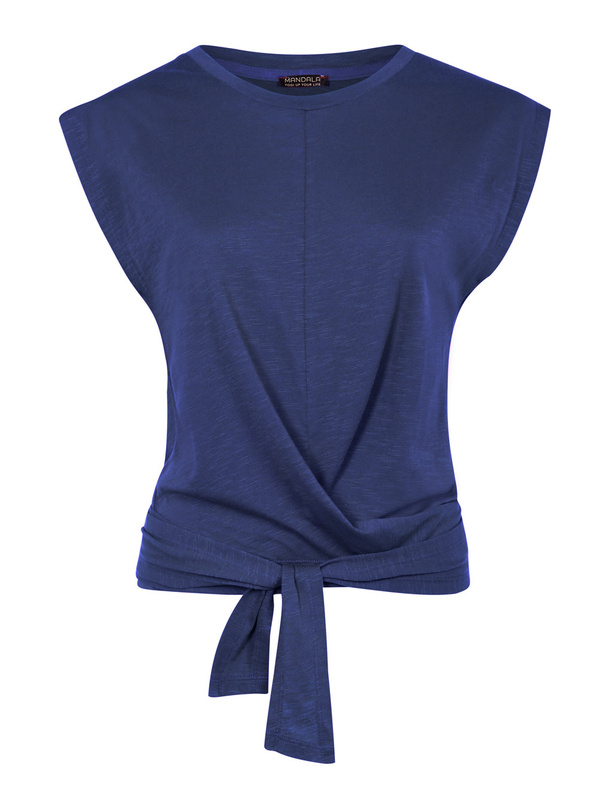 Made from an incredible soft blend of Lyocell and organic cotton. 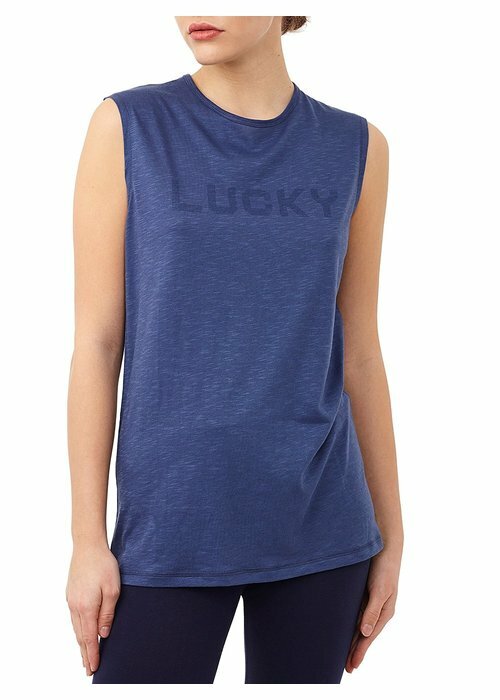 The L.A Tank has a loose fit and 'LUCKY' print on the front. 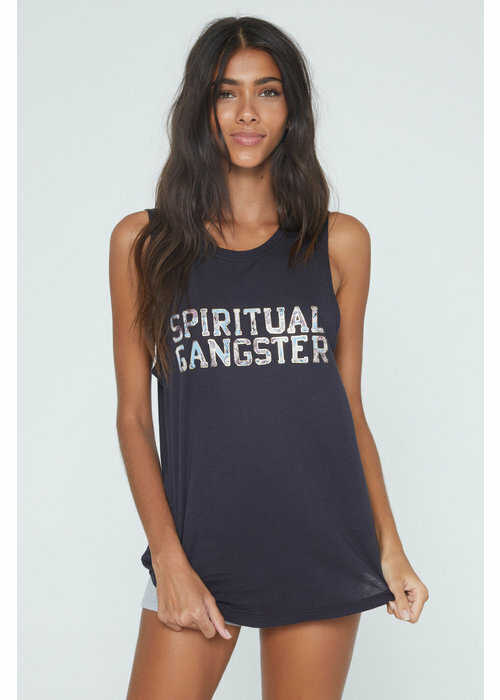 The tank has a wider cut around the arms and is a little longer in length to cover your hips. Made of a wonderfully soft mix of modal and organic cotton. 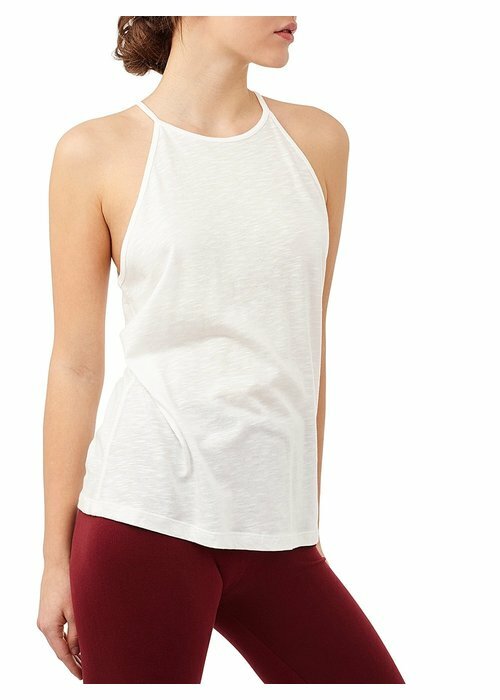 Long yoga tank with elegant v-neck and an open back. 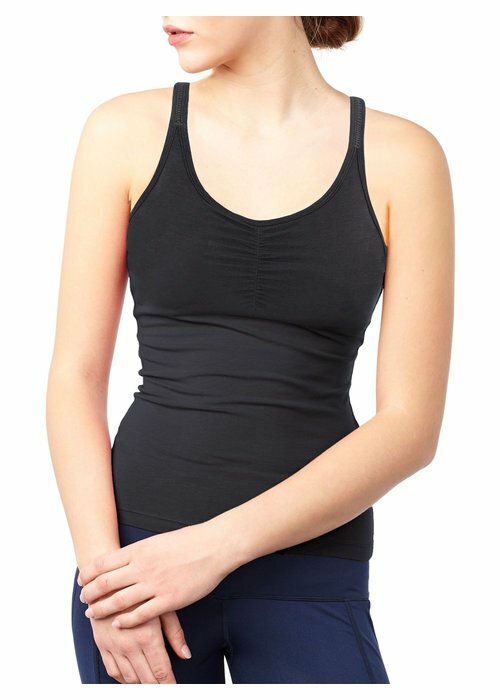 A built-in sports bra provides extra support. The Flexible Top is a long yoga top with an organza detail on the back and integrated support bra. You can adjust the fit with adjustable straps, and the lower cut back elongates your back. The Define Top is a long yoga top with an organza detail on the back and integrated support bra. You can adjust the fit with adjustable straps, and the lower cut back elongates your back. The feminine and trendy Neckholder Top is a wide cut yoga top with a cut-out on the back. 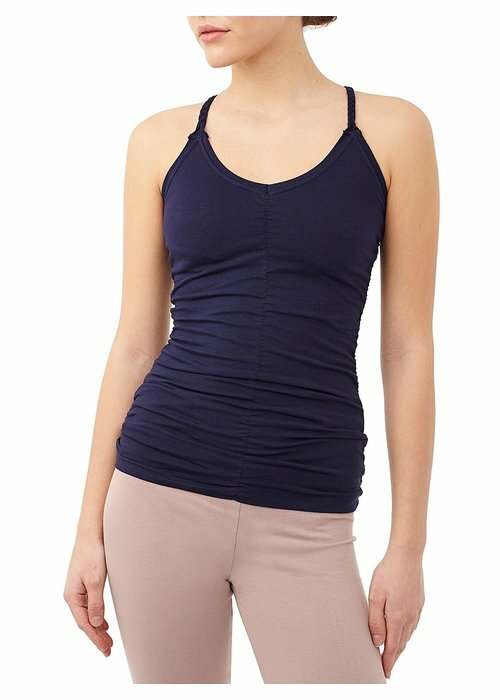 The high-necked halterneck design looks very classy but also offers good coverage in all yoga postures. The Define Top is a long yoga top with an integrated support bra. You can adjust the fit with adjustable straps, and the lower cut back elongates your back. 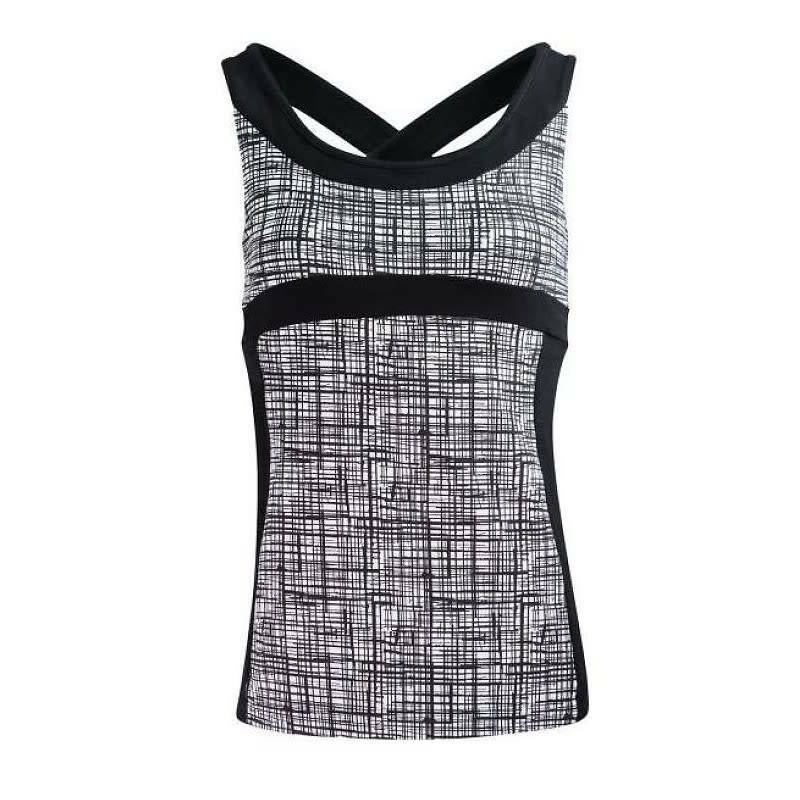 Because of the T-back design, this top offers you optimal freedom of movement for your shoulders. 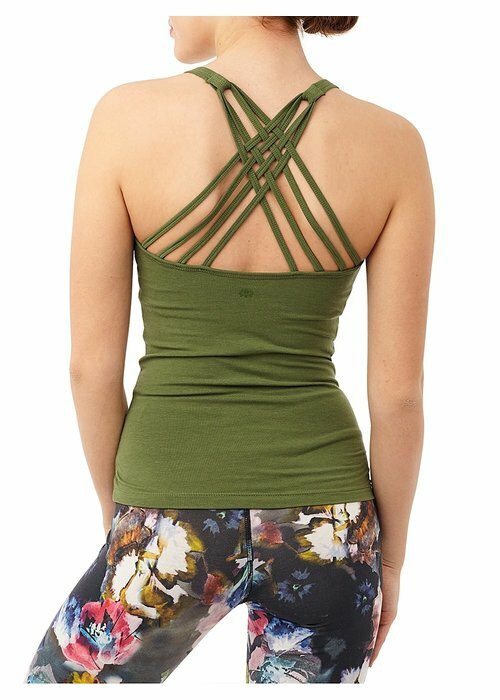 The Cable Yoga Top is one of our favorites. The top has a beautiful braided lines on the back and a 'ribbed' front and back, which accentuates your feminine curves. 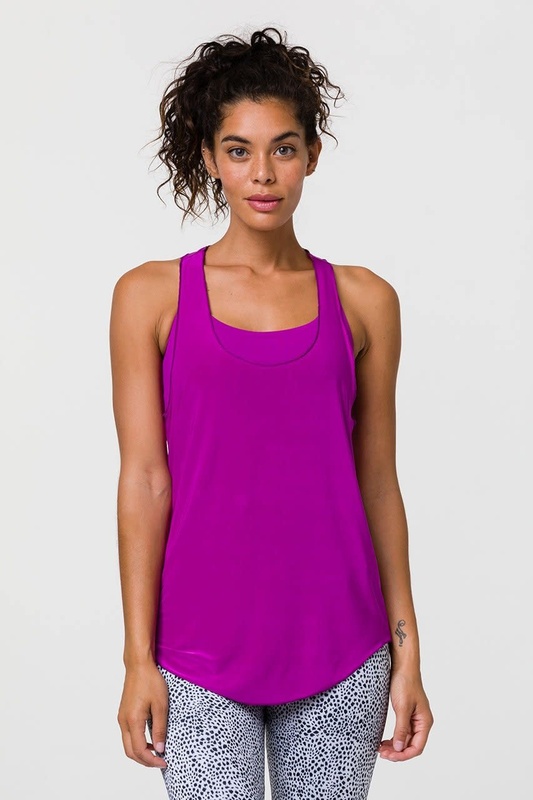 The Becksa Tank is a fitted yoga tank with built in support bra, racerback, and scooped neckline. Removable modesty cups and interior shelf bra with mesh lining provide good support. 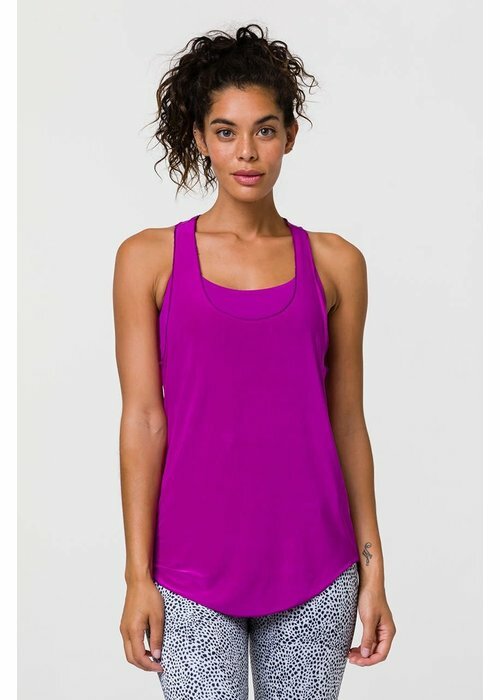 An amazing basic tank that will soon be your favourite! 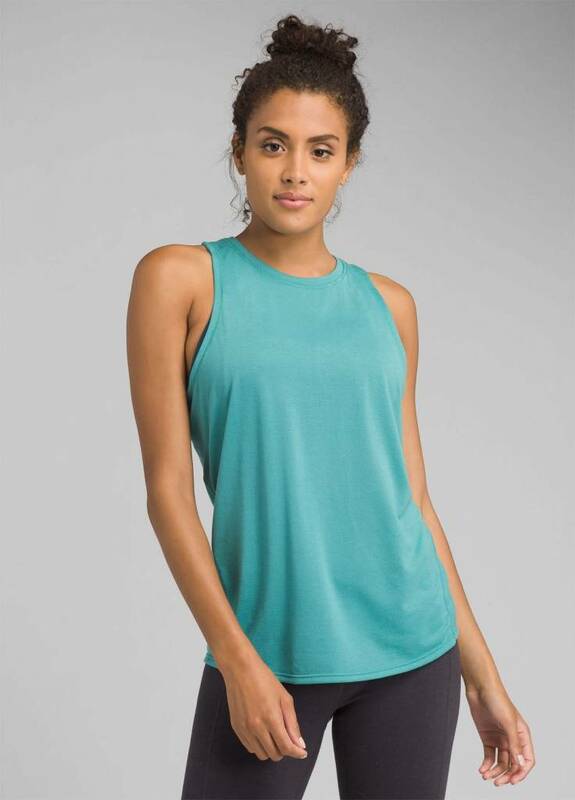 The Iselle tank is made with soft and quick-drying material and features a high neckline for good coverage.